My last post surveyed the consequences of attempting to eliminate paradox from Christian belief. As a follow-up to that post, I want to revisit Romans 9:14-20 in response to the claim that there is no logical tension in Paul’s comments in this particular periscope. I understand Paul to be dealing with more than God’s sovereignty in this text. I believe Paul is dealing with three very specific issues: God’s sovereignty, God’s justice, and man’s actions. (The main thrust of Paul’s concern is the fidelity of God’s Word.) The simple question is this: how can God be absolutely free and absolutely just in light of the fact that evil behavior exists. Either God is absolutely free or God is absolutely just, but if human beings are subjected to God’s punishment, God cannot possibly be absolutely free and absolutely just, at least not in any meaningful way. If God is absolutely free, man is not free. If man is not free, he should not be punished. Therefore, if God is absolutely free, man should not be punished. For those of you that have studied predicate logic, you recognize the hypothetical syllogism. Anderson tells us that the cogency of the Rational Affirmation of Paradoxical Theology model depends crucially on the distinction between real contradiction and apparent contradiction. There are several objections to the idea that Scripture includes paradox, or is even thoroughly paradoxical in nature. One such objection rests on the ground that such a state of affairs would mean that Scripture is irrational. But that objection is patently false. Only if Scripture contained actual contradictions could it be the case that Scripture is irrational. However, I want to make it clear that we do not begin with the idea that Scripture could be irrational in the first place, and then set out it to see if in fact it is. We begin with the presupposition that Scripture, by its very nature is thoroughly rational. And because Scripture is rational, any apparent contradictions are just that, apparent. Anderson says, “Not only must this distinction be formally coherent, it must also be plausibly instantiated; which is to say, it must be reasonable to suppose that there are, or could be, instances of merely apparent contradiction.” When we begin with the view that Scripture cannot contain any actual contradictions, we are claiming that Scripture is our epistemic authority, our final standard, and that Scripture is, beginning to end and top to bottom, self-attesting. If a person is threatened by the possibility that Scripture contains apparent contradiction, I would be tempted to think it possible that that person does not in fact begin with Scripture, or place Scripture at the beginning of their reasoning process even if such is their outright claim. The psychological clues in such a scenario seem to me to be that the person who find paradox so perplexing may be placing reason above Scripture and judging Scripture by the criteria of autonomous human reason. Now, let’s get back to Moses, Pharaoh, Paul, and God. Prior to v. 14, Paul points us to God’s sovereign choice of Isaac over Ismael. Paul pushes the argument up a level as he attempts to point us up to the sovereign election of God. He tells us that Rebekah brought forth two men of the very same substance, equal in every way. Yet, God chose one and rejected the other. And God’s choice took place even prior to their birth. There was nothing in either man’s physical make-up, their intellectual acumen, their race, nothing whatsoever to which we could point that would commend one to God more than the other. Was God’s choice of Jacob arbitrary? Was his choice to hate Esau capricious? We may say that it was God’s plan that served as the basis for these choices. But couldn’t we just as easily say that God’s plan was arbitrary? Well, the answer would be that God’s plan exists for His own glory. So if this plan glorifies God, couldn’t it have been the case that a different plan where both the twins were elected, and where Pharaoh was not predestined to wrath, could have glorified God just the same? If the choices are what they are just because God made them, I don’t see why such an indictment couldn’t be made. But something seems to be terribly wrong with this scenario. I will share why I think this perspective misses the target toward the end of the post. As Paul shifts from the twins to Pharaoh in his next example, he asks a very important question: Ti oun eroumen? mē adikia para tō theō? mē genoito. What shall we say? Is there injustice with God? May it never be! Why would Paul ask such a question? The only scenario in which this question makes any sense whatsoever is the scenario in which we are attempting to understand how God could be perceived as just when He is engaging in such actions of election previously described by Paul. How is it just for God to choose Jacob over Esau since there are no material differences in the men? And with this question, Paul answers with an emphatic negative. The Greek word genoito is very probably a constative aorist which views the action of the verb as a whole. God forbid that it has been, is, or ever would be the case that there would be injustice with or in God. Add to this that the dative here could still be understood as a locative which carries a sense of in God. So we could read the Paul to be asking, “is there injustice in God?” Once again, if there is no tension here in what Paul is revealing, then there is hardly a good reason for why he should raise the question to begin with. Paul opens his next point with the Greek gar, which is epexegetical, or an explanatory conjunction. Paul is not going to explain in greater detail what he is getting at. And this takes us beyond v. 20 and all the way through v.29 and actually chapter 11 if you want to get technical. He immediately points the audience to God’s dealing with Moses and Pharaoh to reinforce his revelation. He begins by reminding the audience that God has mercy on whom He pleases. In other words, this is nothing new. God has revealed the truth of his sovereignty previously. Paul provides the reason God is not unjust. There is something in God that gives Him the express right to have mercy on whom He desires and to have compassion on whom He desires. Paul begins with the presupposition that God is perfectly just in all that He does. But the very fact that the question of justice has been raised at all points to the seemingly undeniable tension that God’s sovereignty creates current in the state of affairs. Why would Paul even think to use such language in the text unless the tension is present. Not only is the tension present in what some commentators think is a hypothetical, there are a few commentators that have argued that Paul is dealing with a real objection being posed by a real objector. Either way, the only reason to bring up the question is if there is something to the fact that Paul’s perspective on God’s actions over the course of the history of redemptive pose something of a challenge to God’s justice. Are these sovereign acts of God also just? Paul makes a preliminary conclusion, “So then.” Paul tells us that “it” does not depend on the will of man or the works of man, but on God who has mercy. What is the “it?” The “it” refers back to vv. 1-5 for this is the entire point of Romans 9-11. The objects of salvation, the called, the elect of God does not depend on man’s behavior nor man’s will. It depends entirely on God. And if this is true, then how can God find fault with those whom He has not elected since we are all the same. If God chooses not based on us, then why do some of us suffer His wrath and others not? How does that square with what we know and experience to be true about justice? The example of Pharaoh is even more emphatic. Paul reminds us that God raised Pharaoh up for this very purpose: to demonstrate His power in Pharaoh and that His name would be proclaimed through the world. From this Paul concludes again that God has mercy on whom he desires and He hardens whom he desires. This is another absolute statement in defense of God’s sovereign control of everything that comes to pass in His creation. In v. 14, Paul rejects any suggestion that the way God does things in creation could be considered unjust. And here in v. 19, we have the same question being asked in a different way. If God chooses and does not choose based only on His own purpose, if it has nothing to do with the wills or the works of men, ti [oun] eti memphetai? tō? Why does he still find fault? Concerning the variant, oun, while it is omitted in Sinaiticus and Alexandrinus, it is in P46 and in Vaticanus. The word shows that Paul is drawing a logical inference from what has just been said. The flow of the discourse seems to make the logical inference impossible to miss as well. The Greek word, memphetai, has the sense of blame. It means to bring an accusation against against someone on the basis that the person in question is clearly to blame. It is the same word used in Heb. 8:8 where the writer tells us that God found fault with the old covenant making the way for a new covenant in Christ. The other interesting thing to note is that the voice of this verb is either middle or passive. This means that God did not just fix the blame on men. The blame was found passively or reflexively. This eliminates the possibility that they were to blame because God had simply declared it to be so. The blame was real, and it arose from within God’s nature. The next question demonstrates that if you feel the tension in Paul’s argument, then you are reading Paul correctly; tō gar boulēmati autou tis anthestēken? Once more, this sentence begins with the post-positive epexegetical gar which is an explanation for what was just said. Literally, the clause reads, “for the will of Him who has resisted?” In other words, the idea is that God should not find fault with men who are simply doing His will since God’s choice for them to do the things He has decreed they do, has nothing to do with their will, their works, or anything else that might in them and everything to do with God’s plan. Now, the reason God should not find fault with men, if Paul’s account of God’s actions in the history of redemption is correct, is because no one has ever been able to resist God’s will. And under these circumstances, it feels as though God could be called unjust. How does Paul solve the tension? To the disappointment of some, Paul does not solve the tension. He reasserts God’s sovereign right to do as He pleases in creation. And the real lesson here is that he rebukes the man who demands that there should be some solution to the tension. The idea of that God is unjust should never even be raised. Why? Because we begin with the view that God is absolutely and perfectly just and we are not open to the possibility that He could be otherwise. That is how Scripture reveals God and whatever Scripture reveals God to be, then that is how God is. Paul spends vv. 21-29 reinforcing the fact that God is sovereign and that we are the objects of His rich mercy. No man should dare place God in the dock and proceed to judge God’s actions based on some finite human morality or some finite human system of reason or logic. We begin with God and all that God is and from there we shape our system based on the revelation that God has given of Himself in Scripture. Clearly, the human mind has difficulty reconciling how God could be just given that He is absolutely free to carry out His plan which includes inflicting wrath of men for doing what He planned they do. When we encounter such difficulties, we can either allow human reason to judge Scripture, or we can make the decision to trust what Scripture clearly teaches elsewhere about God and accept the difficulty as something to be consistent with what we would expect from a finite mind attempting to understand plans that flow from an infinite one. There are three very broad possibilities where paradox and Christian doctrine is concerned. One, it is always irrational to affirm paradox; Christian belief is unavoidably paradoxical; therefore, it is irrational to affirm Christian belief. Two, it is always irrational to affirm paradox; no central doctrines of Christian belief contain paradox; therefore, it is not irrational to affirm Christian belief. Three, it is not always irrational to affirm paradox; Christian belief involves paradox; therefore, it is not irrational to affirm Christian belief. One and two places reason over faith as magistrate. One indicts faith while two exonerates it, but judges it nonetheless. Three places faith over reason as magistrate and judges human reason according to the final standard of divine revelation in Scripture. 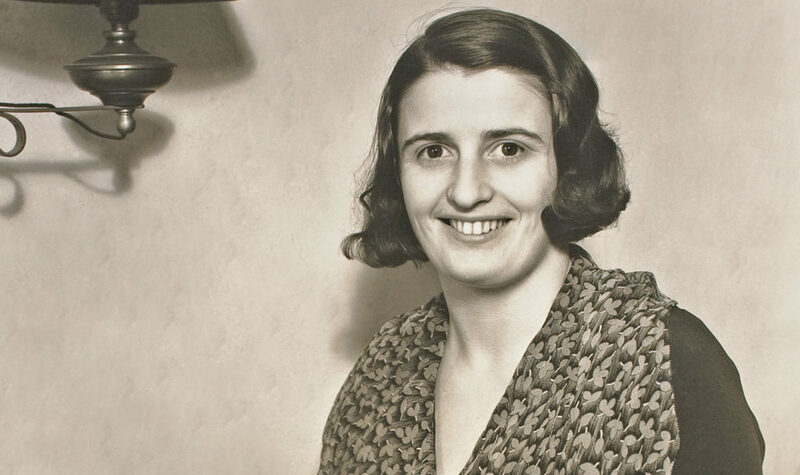 Should Christians Promote Ayn Rand’s Philosophy?